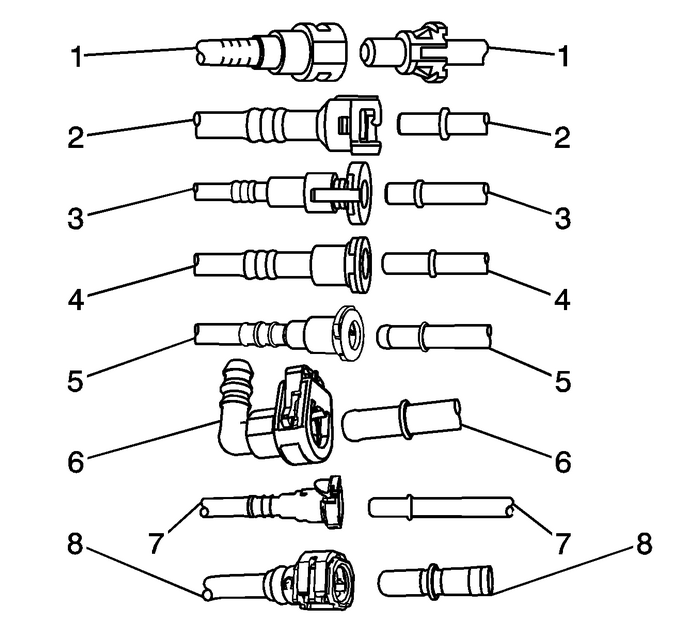 Note:There are several types of Plastic Collar Fuel andEvaporative Emission Quick Connect Fittings used on thisvehicle. 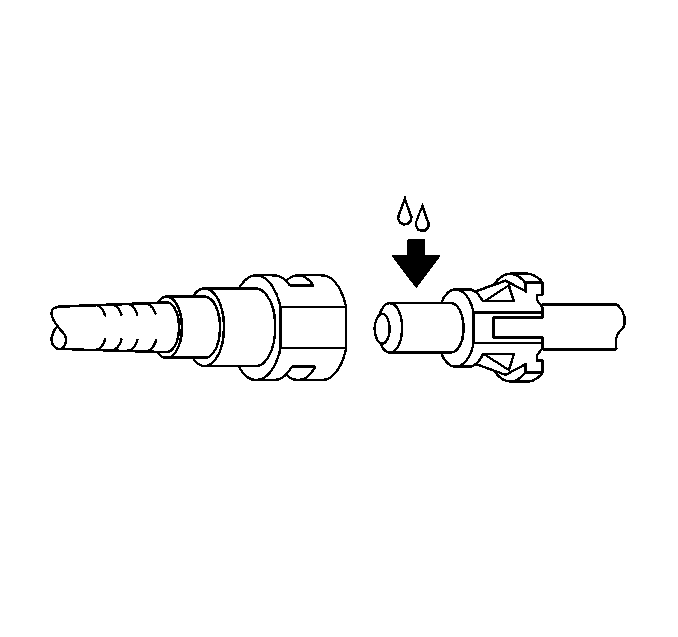 The following instructions apply to all of these types ofPlastic Collar Quick Connect Fittings except whereindicated. 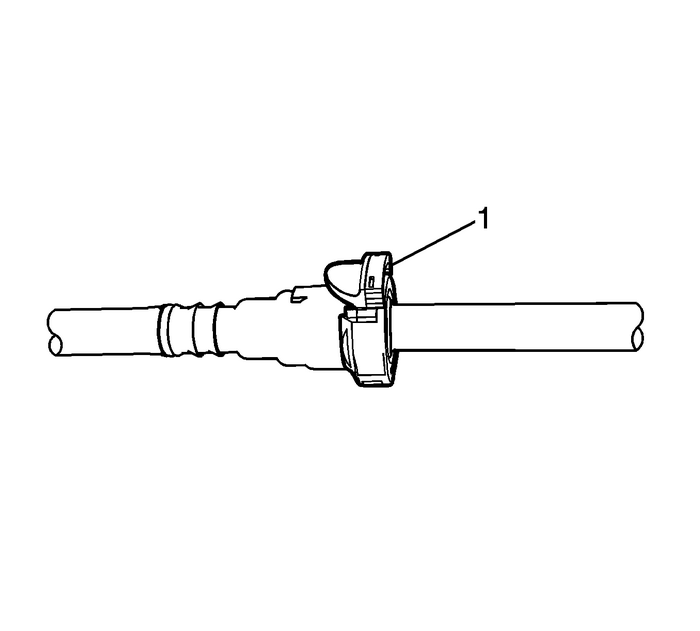 Relieve the fuel system pressure before servicing any fuelsystem connection. Refer to theFuel Pressure Relief. Warning:Always apply a few drops of clean engine oil to the male pipeends before connecting the fuel pipe fittings. This will ensureproper reconnection and prevent a possible fuel leak. 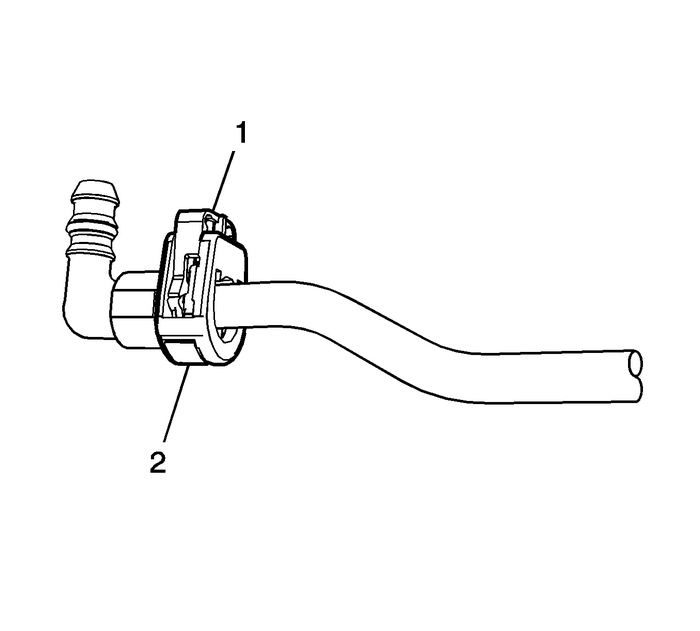 Alwaysreplace O-rings. 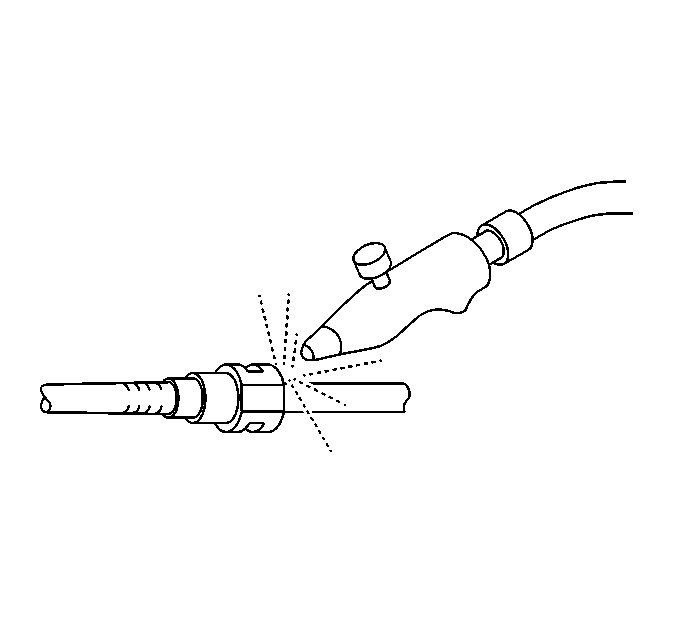 Using compressed air, blow any dirt out of the quick-connectfitting. 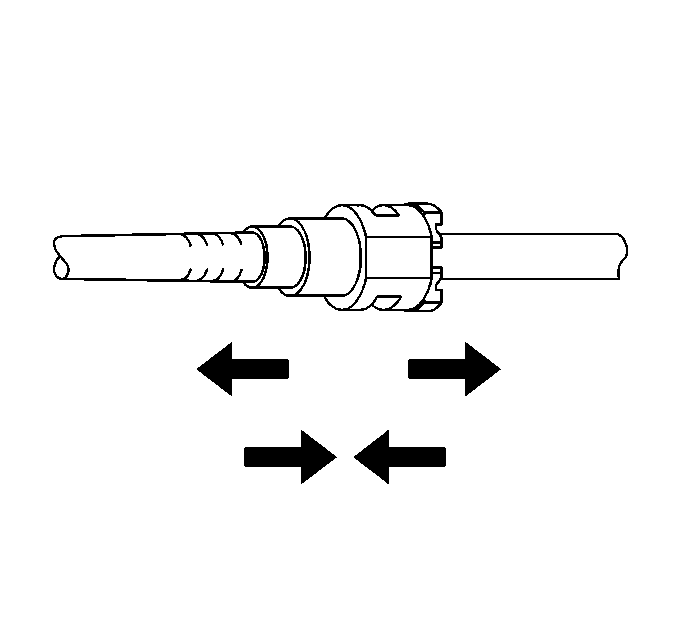 This step applies to Bartholomew style connectors ONLY.Squeeze the plastic quick-connect fitting release tabs. 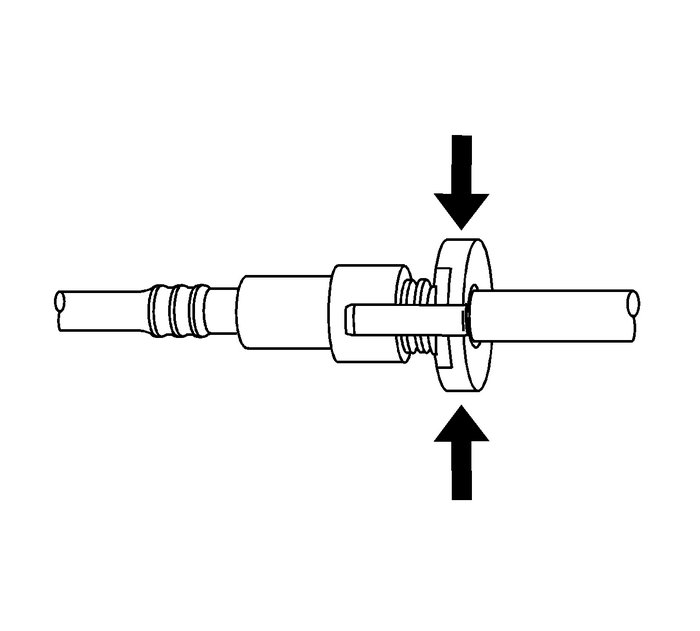 This step applies to Q Release style connectors ONLY. Releasethe fitting by Pushing the tab toward the other side of the slot inthe fitting. This step applies to Squeeze to Release style connectorsONLY. Squeeze where indicated by arrows on both sides of theplastic ring surrounding the quick-connect fitting. This step applies to Squeeze to Release style connectorsONLY. Push in the male side slightly in order to slide the retaineraway from the retainers, squeeze where indicated by arrows on bothsides of the plastic ring surrounding the quick-connectfitting. 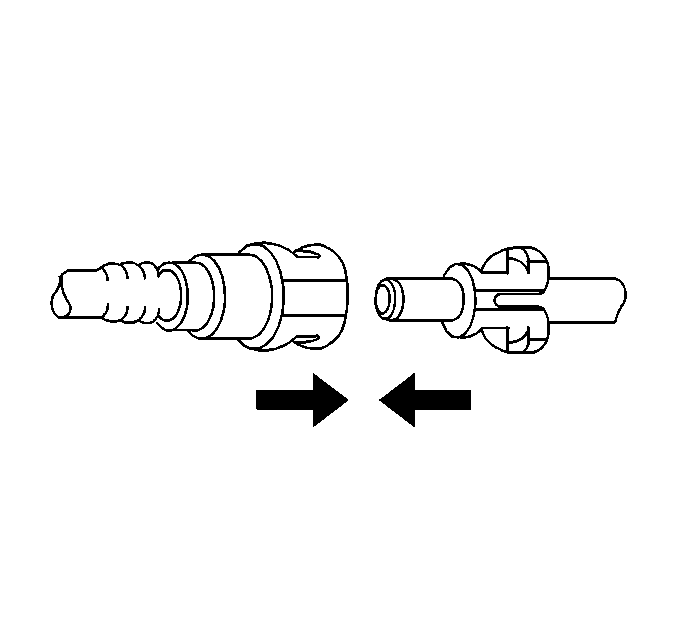 This step applies to Sliding Retainer style connectors ONLY.Release the fitting by pressing on one side of the release tabcausing it to push in slightly. If the tab doesn't move trypressing the tab in from the opposite side. The tab will only movein one direction. This step applies to the Global Connector style only. 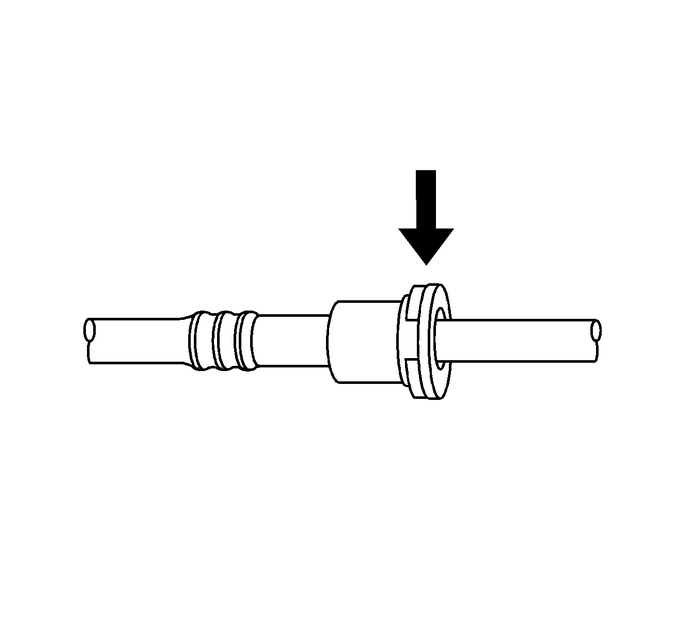 Pushthe connector toward the tube in order to release the pressure.Press and hold down the release mechanism, and pull the connectorstraight out. This step applies to the TI Loc style only. 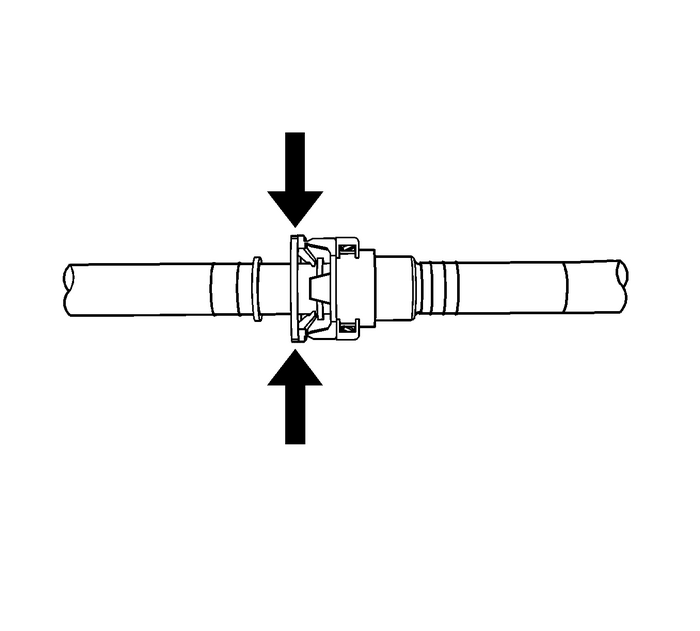 Push theconnector toward the tube in order to release the pressure. Releasethe redundant latch-(1)-with two fingers or aflat bladed tool. Then press and hold down the bottom releasemechanism-(2)-and pull the connector straightout. This step applies to the Safe Lock style only. 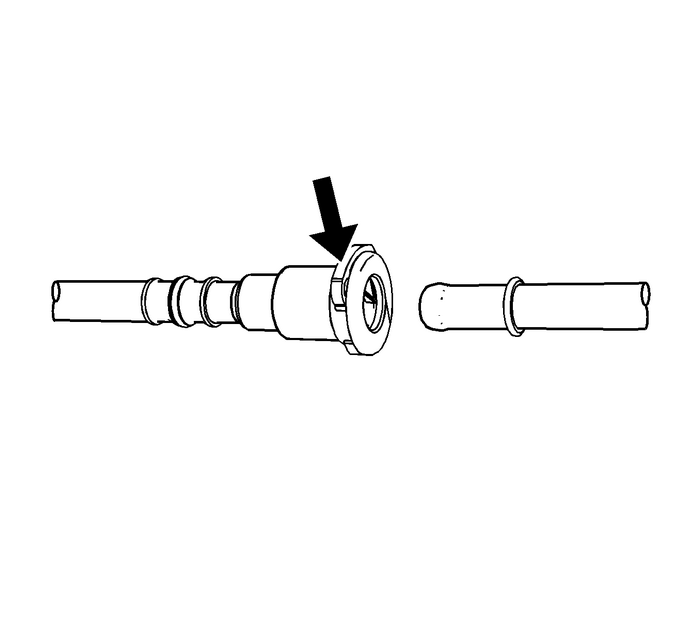 Push theconnector toward the tube in order to release the pressure. 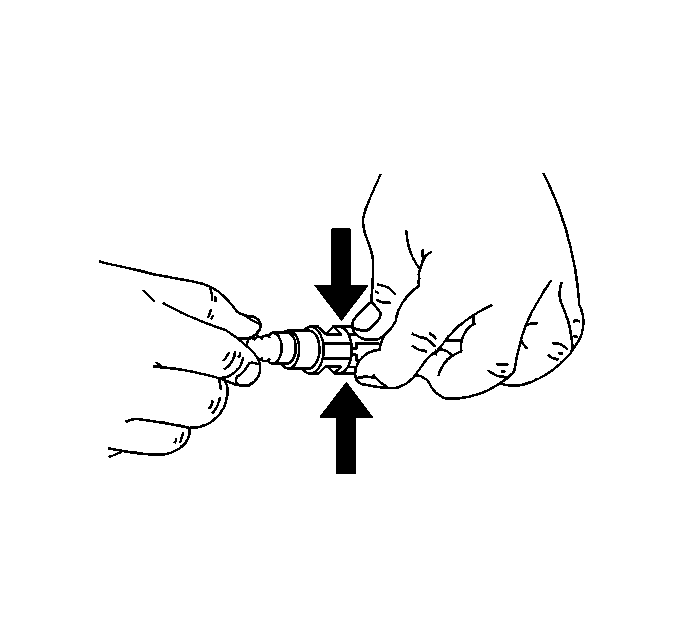 Releasethe second latch-(1)-with two fingers. Thenpress and hold down the bottom releasemechanism-(2)-and pull the connector straightout. Warning:Refer toRelieving Fuel Pressure Warning. Push both sides of the quick-connect fitting together inorder to cause the retaining feature to snap into place. 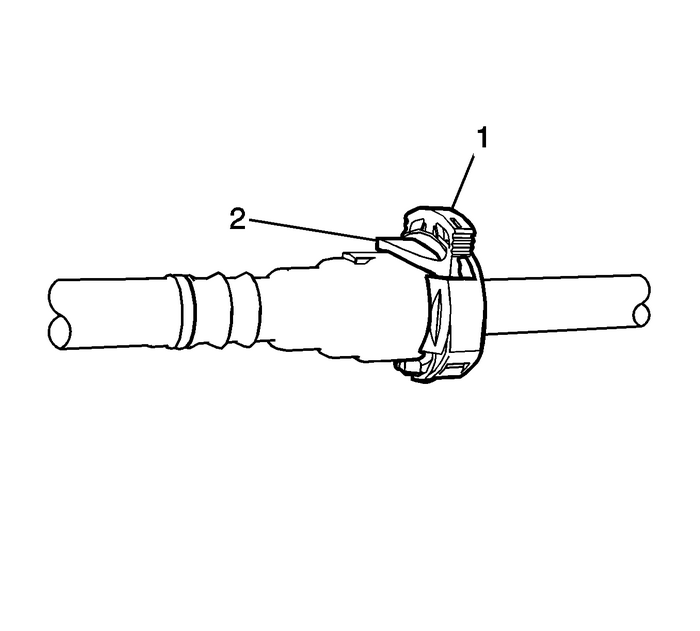 Insert the tube in the connector until the retainer snaps inplace.Push down on the redundantlatch-(1)-until it is fully engaged andsnapped into position. 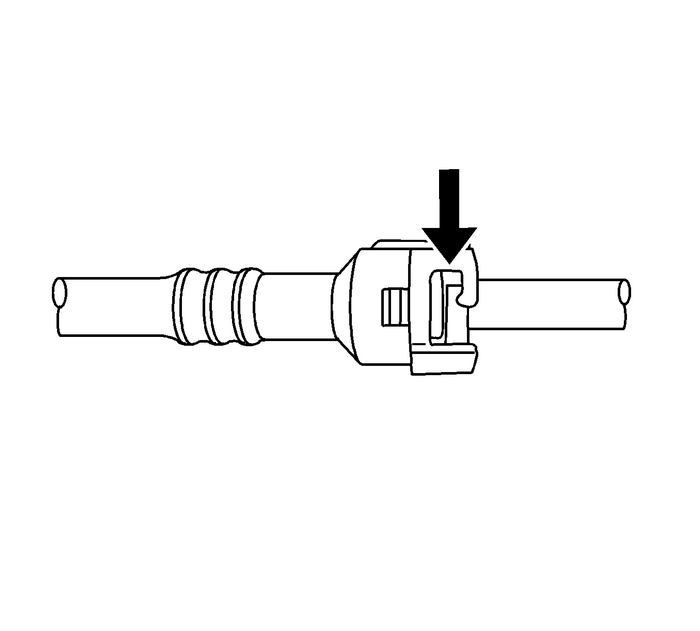 Insert the tube in the connector until the retainer snaps inplace.Push down on the second latch-(1)-inorder to secure the connection.Inspect for leaks using the following procedure:Turn the ignition ON, with the engine OFF for 2seconds.Turn the ignition OFF, for 10 seconds.Turn the ignition ON, with the engine OFF for 2seconds.Turn the ignition OFF.Inspect for leaks.